We need the support from our local community to help keep our market running and continue to provide entertainment and activities each week. If your organization or local business would like to be a corporate sponsor of the 2018-19 season of the Port Jefferson Farmers Market, please contact Barbara Sakovich at Village Hall at 631-473-4724. 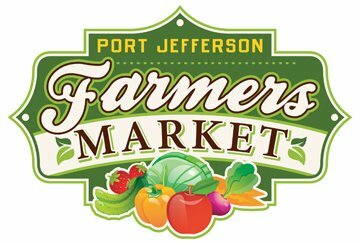 Dear Farmers Market Participant: We are looking forward to you joining us for the Annual Port Jefferson Farmers Market which will commence every Sunday through April with the hours of operation from 10:00 a.m. through 2:00 p.m. to be held at our Village Center commencing December 9th thru April 14th. As you know the Market last year was widely accepted and extremely successful. your permit and reassign another vendor to your location. Due to space limitations, we are unable to offer partial season spaces this season. Fees are payable in advance, before the beginning of the season. Vendors will be assigned a location by our Farmers Market manager. The location in the Village Center will be assigned by the Market Manager. The Market Manager and the Code Officer will instruct when and where to unload your vehicle and where to park your vehicle for the duration of the market. Spaces will be assigned based on the needs of each vendor and is at the discretion of Market Manager. Please be sure to notify us of any special space requirements at the time of your application (e.g. additional parking for vehicles). Spaces must have signage that clearly identifies the business name of the vendor and location. A certificate of insurance in the amount of $1,000,000 per occurrence and $2,000,000 in the aggregate for Premises Liability, Products/Completed Operations which would apply to bodily injury or property damage for produce consumed and resulting in illness. The “Incorporated Village of Port Jefferson, 121 West Broadway, Port Jefferson, NY 11777” must be listed as additional insured and certificate holder on your policy. If you need assistance in obtaining such coverage, please notify us. All setup must take place between 8:00AM and 9:00AM, and must be removed by 2:00PM on Sunday. Vendors arriving after 8:00AM who cannot set up by the beginning of the market will forfeit your space in the market and will be given a space in the back, if available and if it is safe to do so. Each vendor is expected to clean his/her assigned spot at the end of each day and to keep it neat during the period that the market is open and to dump their trash in the dumpster behind the Village Center. Developing and keeping a good community image is key. Items must be grown, gathered, produced and/or processed on Long Island, NY. Specific products may be deemed ineligible for sale by the Economic Development Council and/or the designated market manager(s) if they are not representative of items for sale at the Farmers Market. If there are questions regarding the sale of specific items please contact us and/or provide detailed information with your application. Specific products may be granted an exception if produced off Long Island, if such product is unavailable from a Long Island producer, and product is still deemed to be “local” within NY state, or neighboring state. We strive to have a wide variety of products at the market from as many vendors as possible. Every attempt will be made to separate competing vendors in the market given that enough space is available to do so. In an effort to attract repeat and new customers to the market and make the Market experience more enjoyable for the vendors/shoppers, we will attempt to have musicians every Sunday, as well as various community outreach tents. Each vendor to donate an item of your choice, which will be presented to the musician in a “thank you package” for their services, or may be used occasionally as a raffle incentive to encourage Farmer’s Market customers to participate in email blasts or advertising special events at the Market, etc. All vendors are responsible to understand and comply with Department of Agriculture and Health Department rules and regulations regarding growing, handling, processing, sampling, and vending their products. Additionally, vendors are responsible for complying with any other applicable laws and regulations regarding their participation in the market.